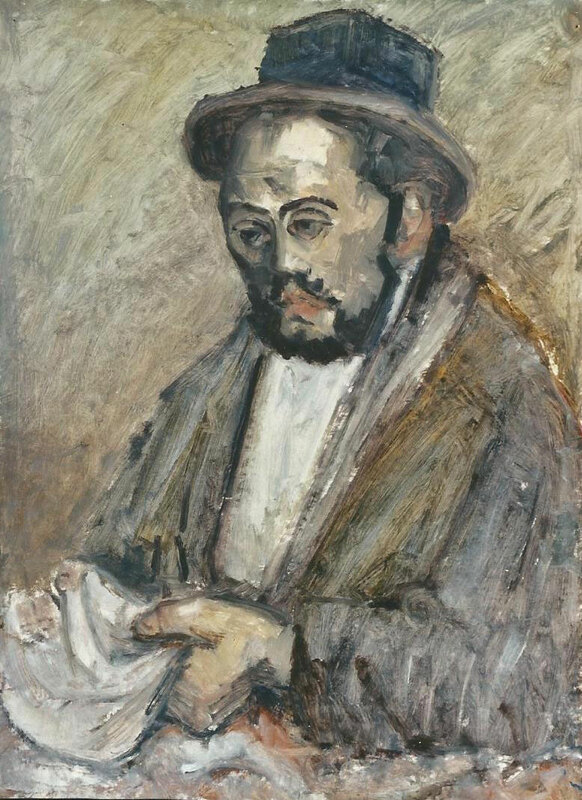 description A head-and-shoulders portrait of an Orthodox Jew, seen in full face view with head turned slightly to the right, and a devout expression. 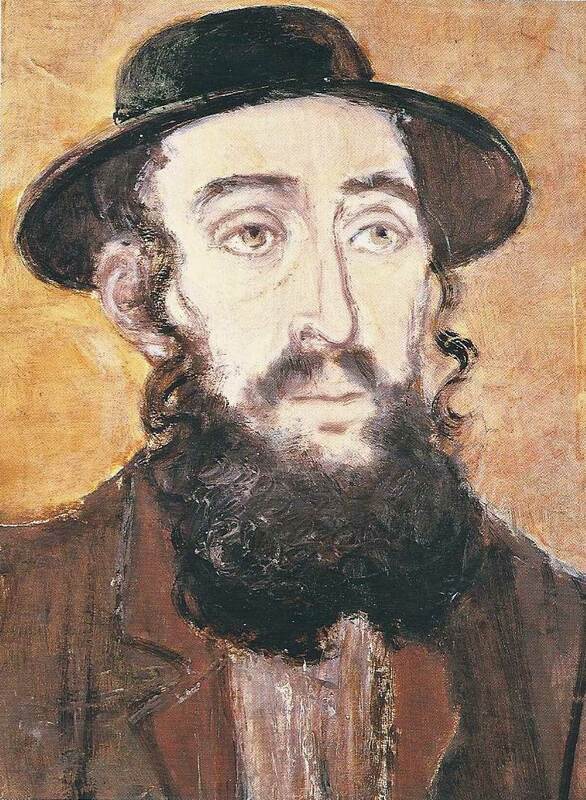 The black, broad-brimmed hat, payot (or side curls) and beard all denote his orthodoxy. The painting is one of a number featuring Orthodox Jewish subjects painted in London's East End. exhibition history 'Eva Frankfurther 1930-1959: Memorial Exhibition', Boundary Gallery, London, 15 June-18 July 2001, (58), NFS. literature ed., B. Planskoy, 'Eva Frankfurther 1930-1959: Paintings, lithographs and drawings' (London: Peter Halban, 2001), illus., p. 97.